Twenty years later and Cultural Geography is one of the most dynamic sub-disciplines in contemporary geography. Our course reflects this dynamism, exploring the relationships between our physical world, human identity and mobility. We combine core concepts with research methods training and interdisciplinary scholarship and practice. We develop this alongside innovative placements and research engagements with some of world’s top cultural institution, located on our doorstep in London. The MA in Cultural Geography (Research) combines the vibrant research of the outstanding Social, Cultural and Historical Geography group with cutting edge teaching. Thematically cultural geography focuses on the interconnections between place, landscape, environment, mobilities and identity, and thus has profound relevance for the contemporary world. Our graduates go on to work in a range of sectors, including the arts and cultural sector, publishing, planning and urban policy, private and public sector research work as well as many carrying on to further doctoral study. The course attracts a diverse range of students from a range of backgrounds, not just those with geography degrees. To see more about the activities around the MA Cultural Geography at Royal Holloway, please look at our research group blog Landscape Surgery. Enjoy placements and research engagements with top cultural institutions including the V&A Museum, the Museum of London, the British Library, the Natural History Museum, the Royal Botanic Gardens Kew and the Royal Geographical Society. Graduate with excellent employability prospects or progress to doctoral study. Assessment is by coursework only. Formative feedback and detailed ongoing discussion of work before final submission is a central part of the teaching ethos of the course. Students also have significant autonomy in the selection of topics for coursework and dissertation allowing them to develop particular interests and specialisms. This programme is delivered in a single stage, equating to either one-year of full-time study or up to five years of part-time study. 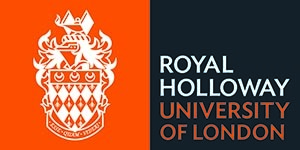 Study Cultural Geography (By Research) at Royal Holloway, University of London and you’ll be well placed to progress to PhD study or to a rewarding career in your chosen field. This research-based programme sees more than 50% of graduates progress to doctoral study. This programme is structured to maximise graduate employability and further education prospects, with transferable skills sessions, career development sessions and workshops taking place to help graduates you achieve your career ambitions. We help our students to work on their PhD applications, and also help to arrange placements with some of the world’s top cultural institutions – including the V&A Museum, the Museum of London, the British Library, the Natural History Museum, the Royal Botanic Gardens Kew and the Royal Geographical Society. 90% of Royal Holloway graduates in work or further education within six months of graduating. More than 50% of Cultural Geography students progress to PhD study. Transferable skills sessions, career development sessions and workshops help you to achieve your career ambitions. Visit the MA Cultural Geography (Research) page on the Royal Holloway, University of London website for more details!